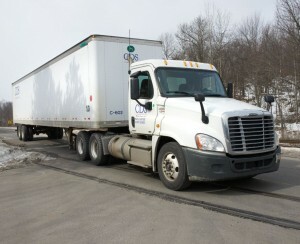 Our asset based fleet, CDS TRANSPORTATION, provides transportation solutions for the logistics needs of shippers. CDS’s prime location with direct access to Interstates I-81 and I-476 interconnecting with I-80, I-84, I-76, & PA Turnpike puts you within one day’s travel of major metropolitan areas and two hours from Philadelphia, New York, and New Jersey. Valley Distributing is hiring part time yard jockeys for our Laflin and Scranton location. Requirements include a Class A CDL, min. 21 years of age, min. 2 yrs. T/T experience and a good driving record. Forklift / Material Handling skills a plus. See if our company is a fit for you! CDS is a privately owned business with excellent pay and benefits for our drivers. You’re not just a number to us- we treat our drivers with respect. If you’re just getting started or looking for a fulfilling life long career, CDS is where you belong! To fill out a driver application online, just click here.